Native Americans used cranberries as a staple as early as 1550. They ate cranberries fresh, ground, or mashed with cornmeal and baked into bread. They also mixed cranberries with wild game and melted fat to form pemmican, a survival ration for the winter months. Maple sugar or honey was used to sweeten the berry’s tangy flavor. By 1620, Pilgrims learned how to use cranberries from the Native Americans. There are several theories of how the berry was named. Germany and Dutch settlers named the berry “crane-berry” because it appeared to be the favorite food of cranes or the blossom resembles the head and neck of an English crane. Eventually “crane-berry” was shortened to cranberry. By 1683, cranberry juice was made by the settlers. The historic uses of cranberries are extensive. American whalers and mariners carried cranberries on board to prevent scurvy. 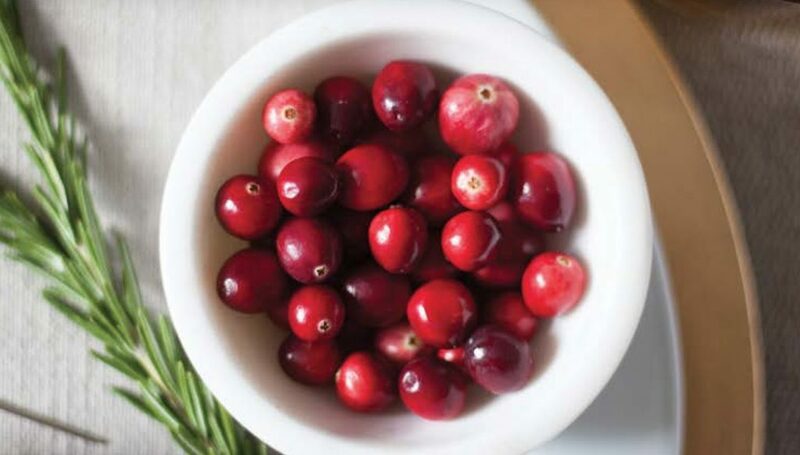 Native Americans brewed cranberry poultices to draw poison from arrow wounds, used cranberry in tea to calm nerves, as well as using the juice as a dye for fabrics. 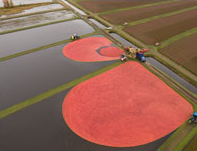 Most cranberries are harvested by flooding the bogs and marshes where they grow, causing the vibrant berries to float and be easily scooped up. Around 1860, Edward Sackett of Sackett Harbor, New York, traveled to Berlin, Wisconsin to inspect some land. 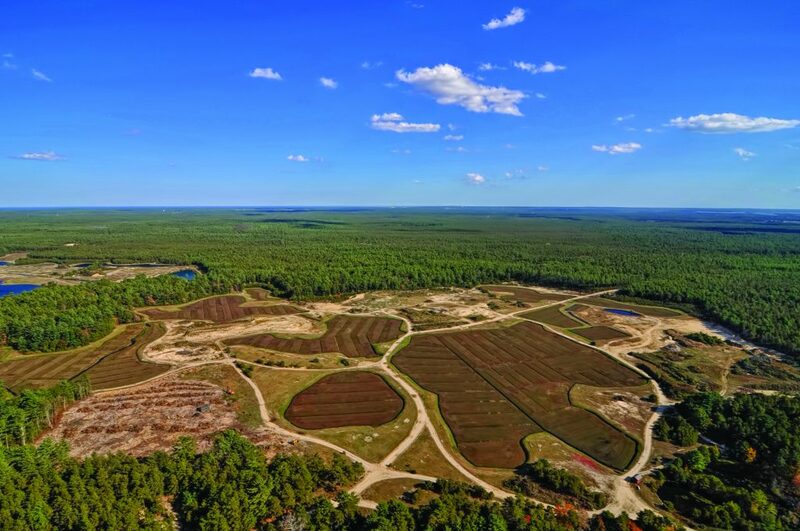 He found 700 acres of wild cranberry vines and decided to cultivate the marshes. He sold his cranberries in Chicago for about $15 a barrel. 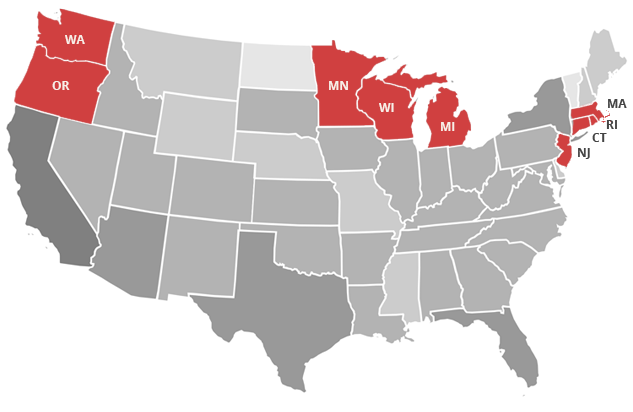 Today, Wisconsin is the top producer of cranberries in the world and the cranberry is not only the official state fruit, but also its number one fruit crop. 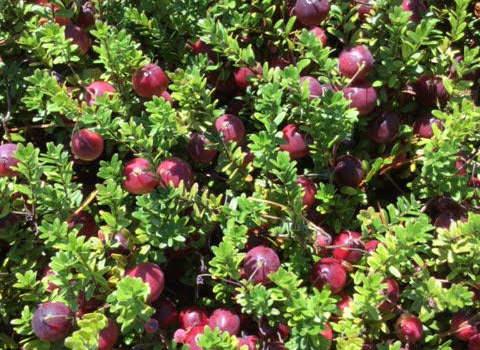 In Dennis, Mass., in 1816, Captain Henry Hall became the first to cultivate cranberries. Captain Hall began transplanting cranberry vines and spreading sand on them when he noticed the crop grows better with sand. Today, Massachusetts is the second-largest producer of cranberries in the United States and cranberries are the Commonwealth’s top food crop. Cranberry is also the official state berry and color, and cranberry juice is the official drink. There are approximately 46,000 cranberry plants per acre and more than 100 varieties of cranberries that grow in North America. 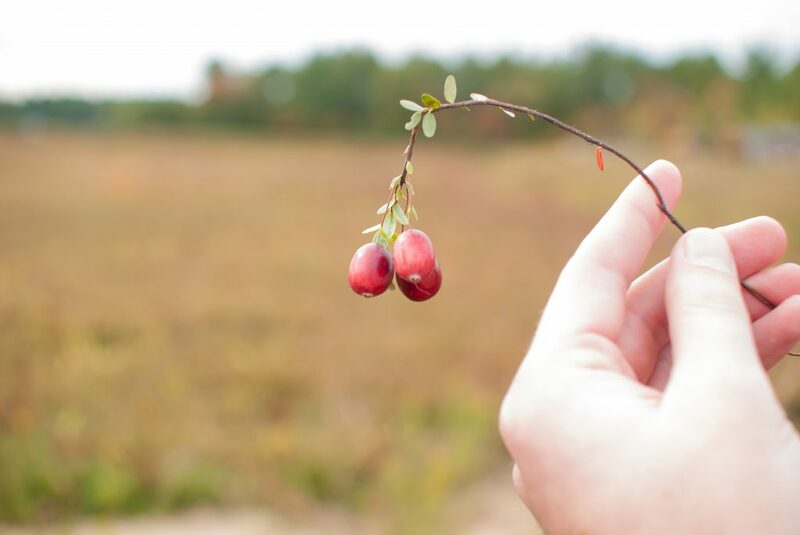 Some cranberry beds in Wisconsin, Massachusetts, and New Jersey have the same vines that were planted more than 100 years ago. To plant cranberries of one variety, it is necessary to plant vines with roots or get a cutting and turn it into the soil so it can root. Seeds from berries on a vine may not yield exactly the same variety as bees may pollinate it from another variety. Today, the DNA of new varieties is often patented. Halvorsen, BL, Carlsen MH, Phillips KM, Bohn, SK, Holte K, Jacobs DR, and Blomho R. Content of redox-active compounds (ie, antioxidants) in foods consumed in the United States. Am J Clin Nutr. 2006; 84:95-135.